Do you use Google Analytics, Hotjar, Heap, or another user analytic or tracking tool? Track activity on program start/landing pages, pre-qualifiers, and matching searches with a simple analytic tool integration feature. 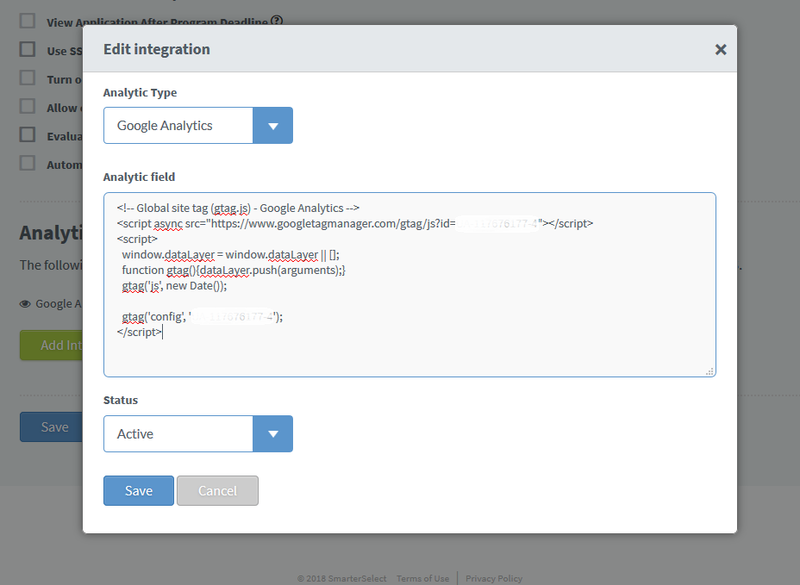 No coding necessary - simply copy and paste code provided by your analytic tool into a field and save. Now available for all Enterprise clients. Text formatting tool bar for text fields, including program description, program requirements, matching description, messages, and question text/labels. 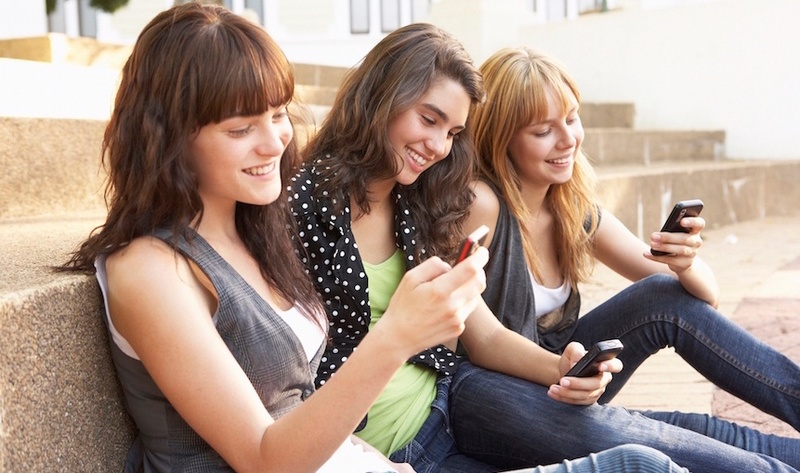 Customize your program, form, and message text without having to use HTML tags. Coming soon for all users. Do you have an open program that doesn't have a deadline? This upcoming feature will allow you to remove deadlines from your program, allowing you to run a signle program for 365 days a years, year after year. Coming in 2018 for all levels. For system and filter drop-down lists, there is now a search box to help find what you need more quickly. You can customize the email footer contact information for specific programs if it needs to be different from your account-level contact info. You can have a word count minimum for essay questions. 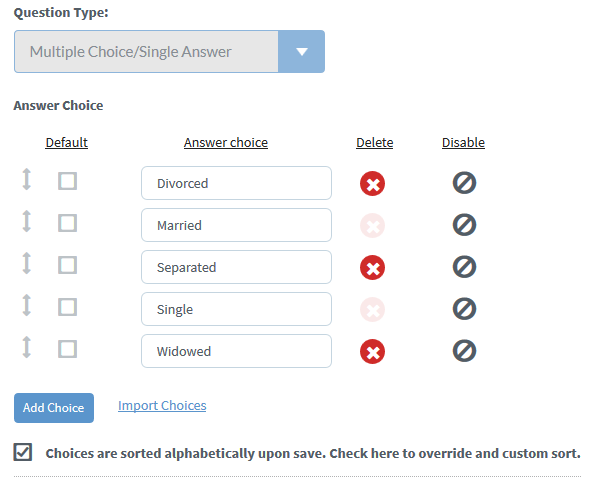 You can edit your multiple choice answer options while your program is open. Reorder, disable, and edit choices whenever you need! Submit a support ticket or search the Help Center without leaving where you are with the Help widget (in the bottom-right corner of your screen whenever you're logged into SmarterSelect). Send us a suggestion or check out our product survey anytime to help us build the best product for you.